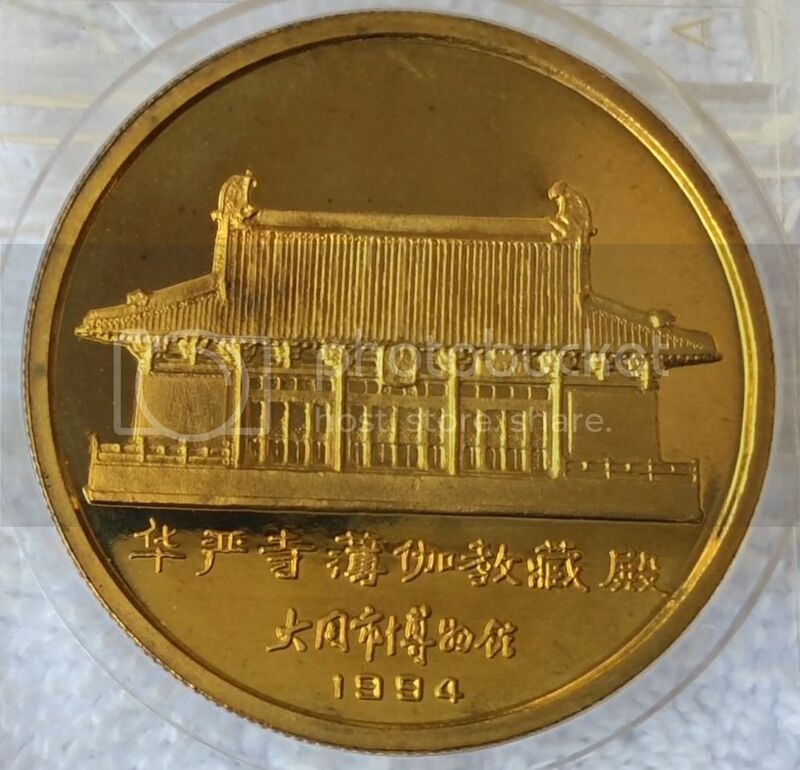 Brass Datong Ancient Architecture 1984 minted by Liaoyin, branch of the People's Bank of China (thanks fwang). It is a 3 piece set, which is coming, I got this individual piece, and couldn't resist. 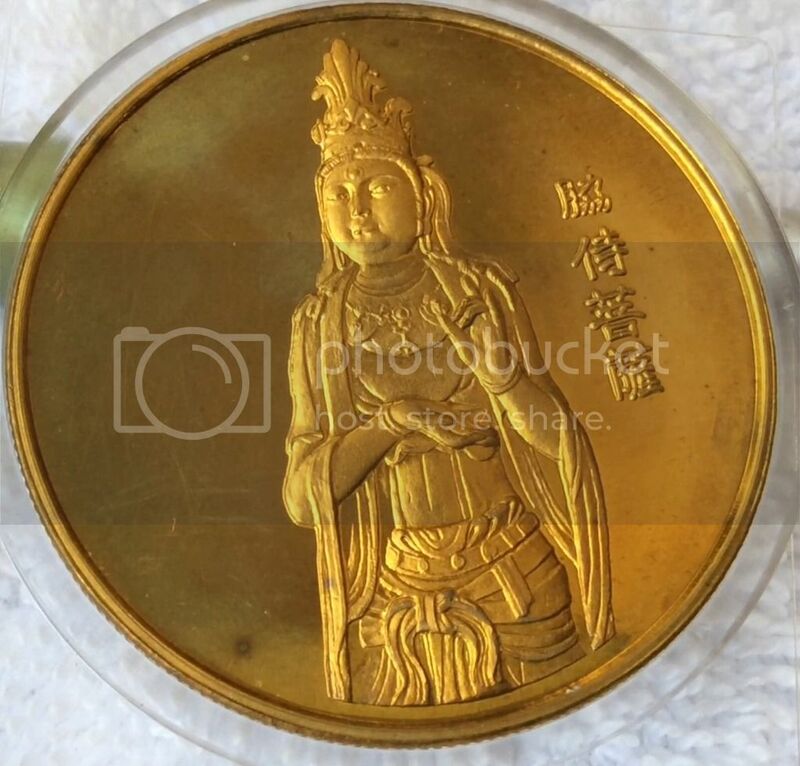 The engraving is truly remarkable, from the hands of Song Jinmin, a Shenyang Mint artist who designed many MCCs as well as the Fen circulating coins. But this set was not minted in 1984. 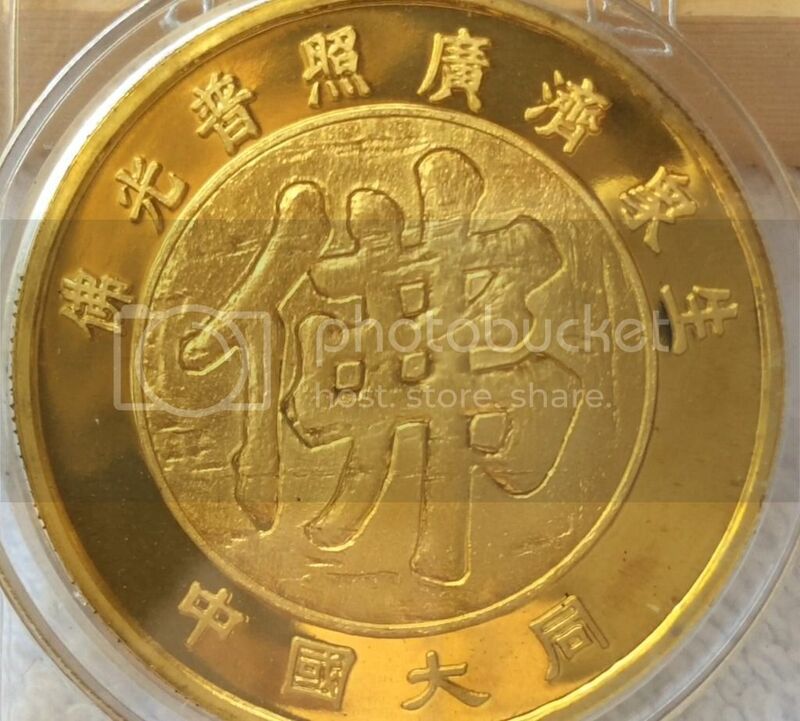 It was minted in the 1990's, after Song retired from Shenyang Mint. Artistry and beauty, combined with historical relevance. I too liked this set, enough to add to my collection some time ago, I will have to find it and enjoy viewing it again. Thanks to barsenault for the great pics and to fwang2450 for filling us in with the background details. 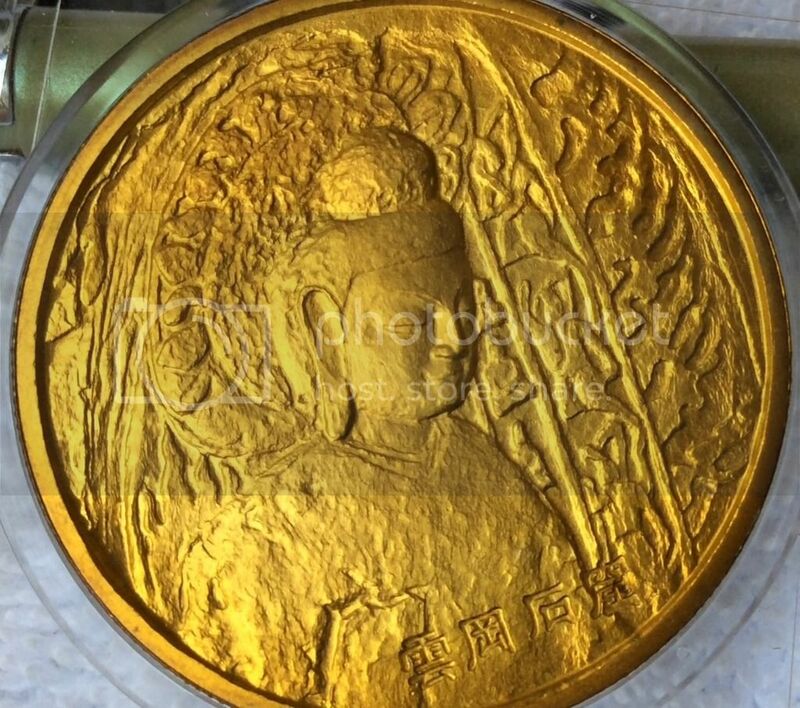 Some more background info: This medal describes the Yungang Grotto, which also appeared on one of the grotto coins. The set was commissioned by the Datong Museum, Datong being where the Yungang Grotto is. This is a good example that for artwork, what matters is the artist, not where it is made or who commissioned it. 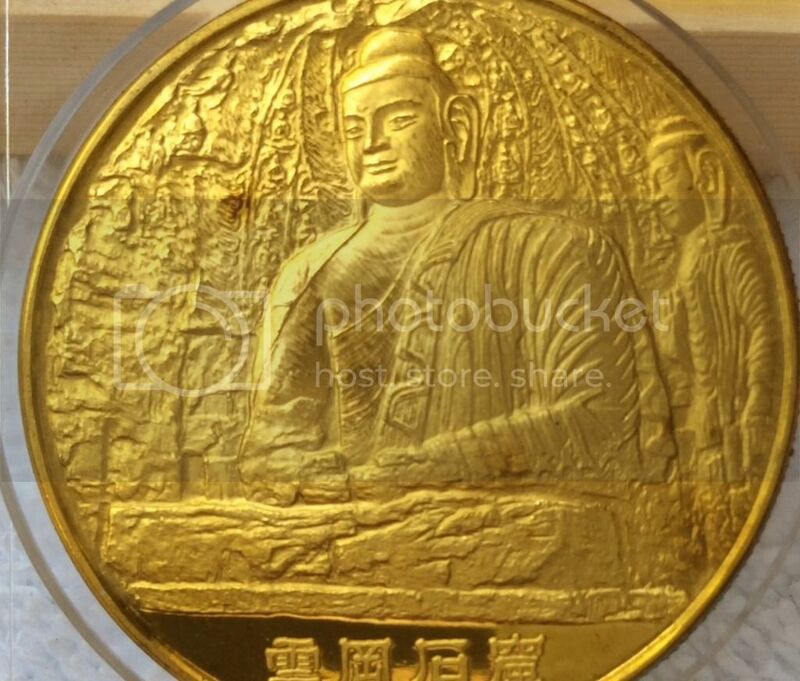 Is it known if any Shenyang Mint medals were made from hand-engraved dies? Or was this artistry practiced soley at Shanghai Mint? I have not heard of hand engraved dies for coin size medals from Shenyang Mint. 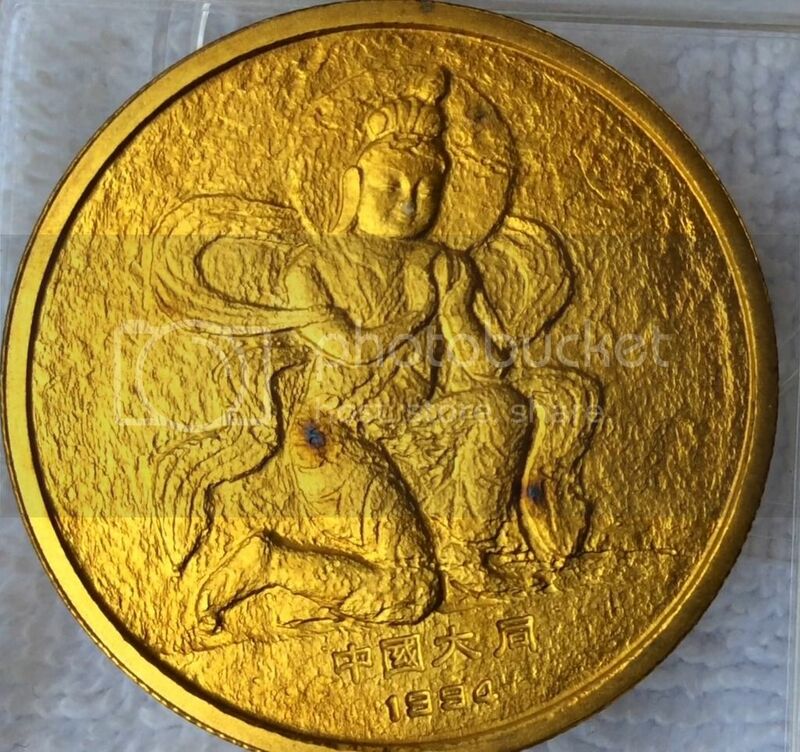 In recent years, some larger medals were made from hand engraved dies, similar to what Shanghai Mint has been doing. Does anyone know how many were minted? How many may possibly exist? Thanks for the info and feedback fwang and Hippanda. Yungang Grottoes. Note the missing third figure of the trio on the left. Hey Peter, thanks for sharing. Does anyone know what happened to that 3rd one? Fascinating. Also, anyone have an idea of mintage on this set? TIA. I couldn't find a specific explanation in the book from this trip. However, over the centuries many of the figures have been ruined by water that has percolated through the sandstone. Some areas are nearly wiped out, while others remain in good condition. here are the other 2 on the Datong set. I believe there is one more. I'm on the hunt. Oh, and yeah, I know there is some corrosion on them. Oh well. Still love them, or I wouldn't have bought them for the treasure chest! Hey Frank. Thanks so much for the info. I knew there was 1 missing, but didn't know which one. I'll have to be on the hunt for that individul piece now. I wonder what set the other picece goes to. Interesting. Leave it up to my good friend in China to move things around. LOL. You know who I'm referring too. Thanks again.